Quickly report faults 24/7 using our online reporting system. 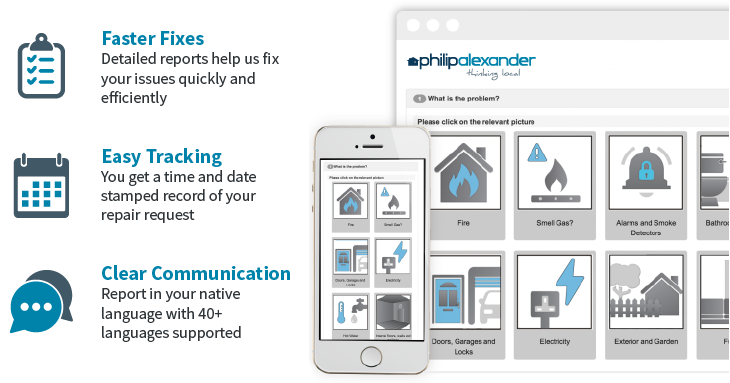 Submitting a repair request takes just minutes and can be done through your smartphone, tablet or desktop PC. Simply choose a fault category, submit some extra details (which can include photos of the problem), confirm your contact details and you’re all done. The resulting report helps us fix your issue quickly and efficiently, and you’ll receive a date stamped record for every repair request.